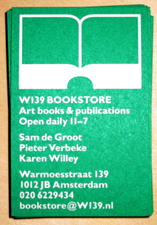 In June 2009, W139 (http://w139 NULL.nl/) asked me, together with Pieter Verbeke (http://www NULL.pieterverbeke NULL.com/) and Sam de Groot (http://www NULL.samdegroot NULL.nl/), to start up a bookshop in their gallery. 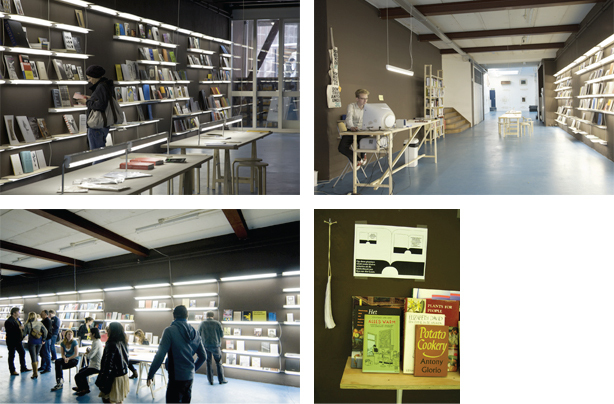 ‘Remain in Light’, an art book publishing exhibition organized by Astrid Vorstermans (Valiz (http://www NULL.valiz NULL.nl/)), was coming to an end and we were given the opportunity to use the books displayed in ‘Remain in Light’ as a basis for setting up a bookshop. 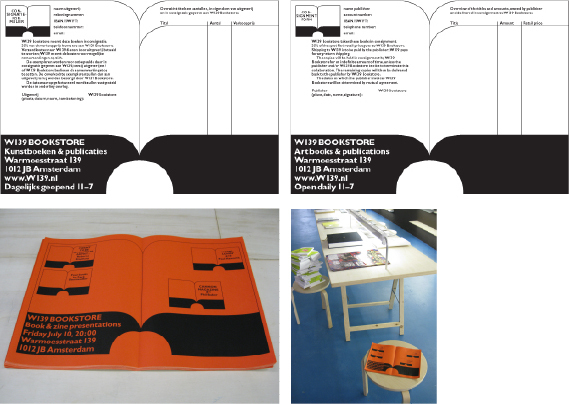 Slowly we expanded the selection and we organized a few fanzine and art book presentations. 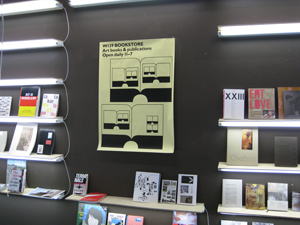 We took care of the daily operation of the store. 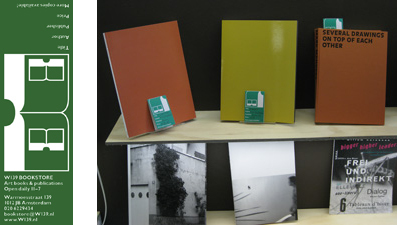 I designed some printed matter as well: a poster, invitations, price tags, and business cards. 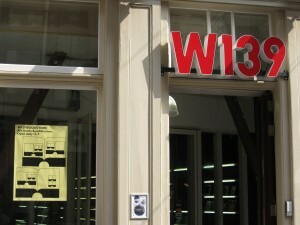 Unfortunately, although the bookshop was relatively successful, we had to close down in September because of cutbacks.